Air freight stands out as a great solution for those that need to transport shipments of high value and low volume, although there are many other reasons why you may want to use this option. This is a transport type that is highly practical for most possible goods out there but Umberto de Pretto does highlight it is not always to be considered as the best opportunity available. In some cases there are better options that should be used. However, it is hard to argue with the following benefits associated with air freight. If your desire is to have goods shipped really fast to another destination, especially from another country, it is air freight that stands out as the best solution. It is a lot faster than sea freight or road freight. Efficiency cannot be higher than with air freight, unless looking at short distance transportation, where road freight is the fastest option. Airlines always respect really tight schedules so you can easily rely on arrival and departure times. In fact, if you want to create a schedule that is perfect, the best chance you have is to use airplanes. Most freight services these days have flights that depart every single hour. This means that delays are much shorter than in the past, even if there is a problem with a cargo plane. 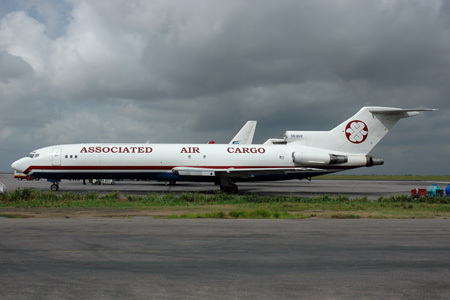 Reliability is higher than ever with air freight transportation. You want to use air freight as a perfect solution if you need long distance shipping. Most airlines created a network of really solid airports and destinations covered. We are faced with a huge coverage area that practically guarantees the shipment will reach the destination you want, no matter where it is around the world. To top it off, safety is also usually guaranteed. When using other transportation methods it is sometimes really hard to reach some countries. With air freight this is close to impossible. Because of the fact that transportation takes a lot less time, insurance premiums tend to be much lower. This is also because of the high safety associated with air transportation. Even if air freight actual cost I s going to be really high, you can end up saving money in other parts of the operation, like with the insurance costs. You also do not have to use as much packaging as with other transportation options. We already mentioned safety several times but one fact that needs to be added is that the entire airline industry now uses a high security system that can easily cut risks of theft or damage during transit. Airports employ specific procedures in order to guarantee cargo will be safe. It is practically impossible to deny the advantages associated with air freight and the truth is the only real reason why many companies do not use it is cost. When large quantities of products have to be shipped, costs can be higher than what is affordable. Besides these options, air freight has to be taken into account.